DH6-01: Dwarf in Hat standing with Crossbow. 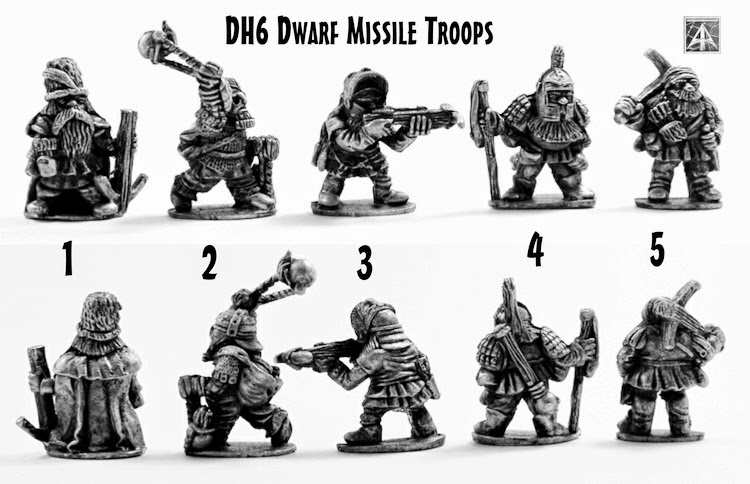 DH6-02: Dwarf in Armour whirling Fire Globes. DH6-04: Dwarf with Staff Sling. DH6-05: Dwarf with Crossbow resting on shoulder.